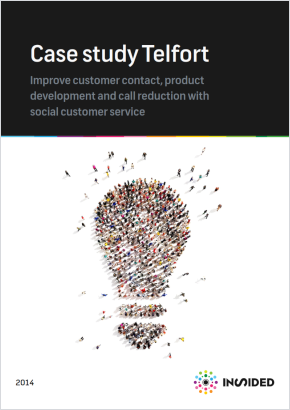 Improve customer contact, product development and call reduction with social customer service. Telfort (part of KPN) is a Dutch discounter that offers simple, reliable services for mobile telephone, television and internet. The company wants to be transparent in everything it does to its over 2 million customers. Always keen to keep improving, Telfort employees are ever-vigilant for ways to do it better, smarter, differently or with more fun. Learning from customers is a major focus, with the Telfort community playing a key role.